Welcome to Plumbers.net. The online resource that's all about plumbers! Plumbers perform a vital service that we can often take for granted. When a plumbing emergency strikes, most plumbers would rush to protect our home and our family's health, 24 hours, 7 days a week. 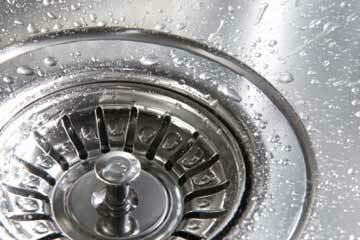 Learn how to find a 24 hour emergency plumber. The path to become a plumber will vary depending on the state and county you are in. In general, the first thing you will need to get started on this career path is a high school diploma or a GED. Algebra and geometry are useful as well as physics class and a computer-aided drafting class. The next thing you need to do is get vocational training. Some high schools will offer a plumbing training program, but you need to go to an actual trade school if that is not an option. The vocational school will usually involve some kind of certificate that says you took courses in water supply and drainage systems. You should also be taking a course of the piping equipment that creates the plumbing system. One more step that you have to take is to go through an apprenticeship program. This is basically a situation where someone who is already a plumber can show you the ropes. These kinds of programs are usually run through the plumbers' union or an affiliate of that union, such as the United Association of Journeymen and Apprentices of Plumbing. Your apprenticeship will involve a combination of 144 hours in the classroom and on-the-job training. This program usually lasts for around 4 years, but you get paid while you are out in the field. The last step to become a plumber is to get your license. This is not something that is required everywhere, but it will be a requirement in most jurisdictions. You need to be able to pass a test of all the local plumbing codes and have around two to five years of experience if you are going to be able to become a licensed plumber. The average wage for a journeyman plumber in the United States is around $46,000 per year. If you are thinking of joining the plumbing field, there are many different jobs that fall under the field of plumbing, so you will want to take a look at all of your options before you decide what area of plumbing. The amount that plumbers make on a yearly basis also varies from state to state. For example, a plumber who works in New York is usually going to get paid much more than one who lives in Alabama. The increased earnings are relative because the cost of living in these areas is also quite different. The amount of money that you can make as a plumber ultimately depends on your skills, drive and determination. A plumbing technician can make over $100,000 per year, and a service technician for pipefitting and steamfitting can make $75,000 per year or more. If you are willing to keep learning in the trade and have the ability to solve problems quickly and efficiently, the amount of earning can go even higher. Work For Others Or Yourself? At the end of the day, plumbers that eventually own their own plumbing business have much higher potential for earnings. The question is how successful are you going to be when you work for yourself? When you work for someone else, you can focus on the tasks that will increase your income. Some plumbers are paid a flat salary while others are paid strictly on commission. Some companies pay their plumbers based on a combination of fixed salary and bonuses. It is not impossible for a top selling plumber to make more that the owner. Becoming a plumber is a great way to make sure that you are moving into a field of work that is going to be needed for many years into the future. Learning a trade can be more valuable than a degree these days. While some people will go off to college not having any idea what they want to do, people who want to become plumbers are actually learning a useful skill when they go to vocational school. Let's take a closer look at how you can become a plumber. What is a plumber's warehouse? It's a retail location where professional plumbers can go to obtain supplies and parts required for building and repairing plumbing. Plumber's warehouses are unique because they have in stock all different types of items, not just 3 or 4 of the most common or most used things. Unlike big box stores which carry one or two of the most common of a narrow selection of a few components, plumber's warehouses carry just about everything under the sun that a plumber might require. A warehouse exclusively for plumbers can cater to their specific needs and enable them to better service their customers. Because of the specialized nature of professional plumber's needs, it's always best to let the plumber you trust obtain the parts required at such a supply house. The primary benefit to a plumber's warehouse is the specialized inventory they have available. From a pressure fitting for an overflow side sink connection pipe to a sink collar for a half horsepower garbage disposal, whatever a plumber might be required to have is available at a warehouse specifically designed for plumbing a professional's needs. A home repair or local hardware store is great for standard, everyday plumbing supplies, such as tools, plumbers tape, or plumbers putty- you might find one of three most common fitting sizes that you need to install a new hose attachment on your sink. However, a plumber's supply warehouse will have in stock all of the dozens of sizes that might possibly be found in a home, office, mobile home, or RV. 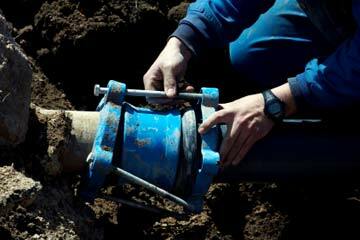 It is usually best to allow a licensed plumber to complete repairs and installations of piping. Some small jobs can be done by a property owner fairly easily, however others should always be left to a professional. Because plumbers can best make an assessment of the situation and conclude what supplies are needed, they are the professional who you are paying, and on whom you should rely to obtain the needed parts. Not only is it their expertise you need, but often the parts that are available to a plumber are professional grade and of better quality. Plumber's warehouses are a unique and specialized type of retail operation that caters to professional plumbers and their needs. Most plumbers carry the basic equipment that they need to perform the most common jobs with them; drain snake machines, sewer video cameras on lines that can be sent down pipes. Most plumbers carry a variety of component pieces and parts on their service vehicles. When they encounter a part or size they don't carry, they have to obtain it somewhere, and a warehouse is the place most likely to find it. 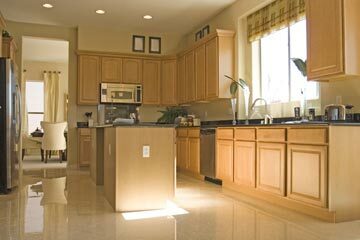 Professional plumbers can make the correct diagnosis and determine what is needed, then find it fast at a supply house. This is why it's best to rely on the services of a professional plumber and the resources they have access to to.